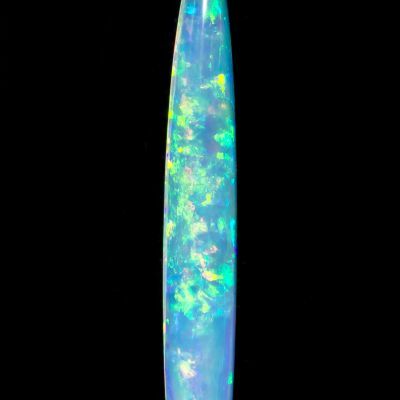 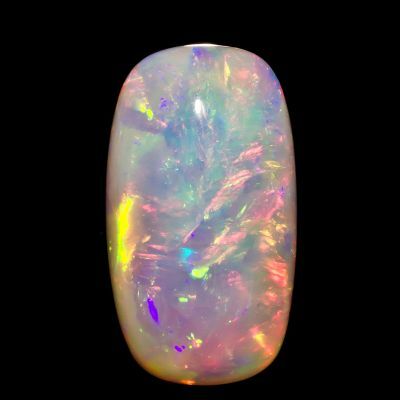 A very beautiful and impressive opal it has an almost ethereal quality to it. 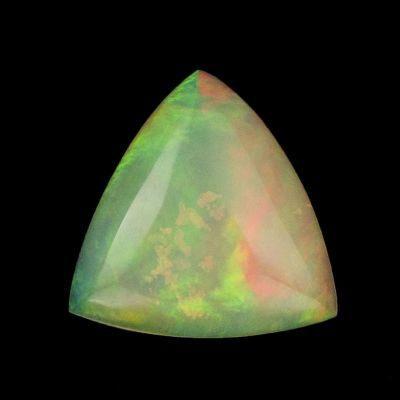 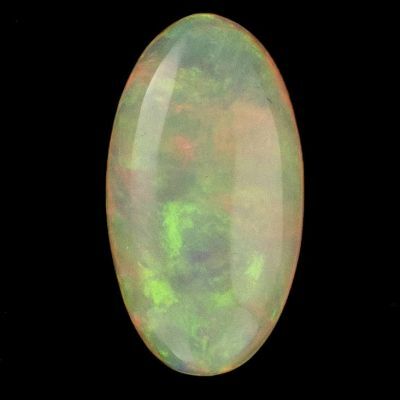 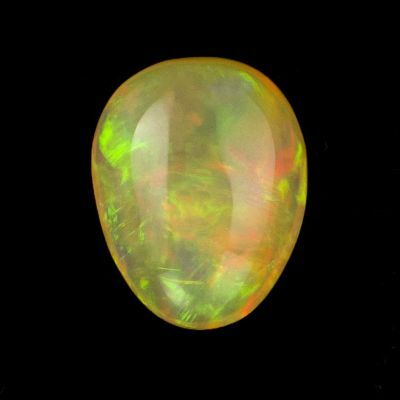 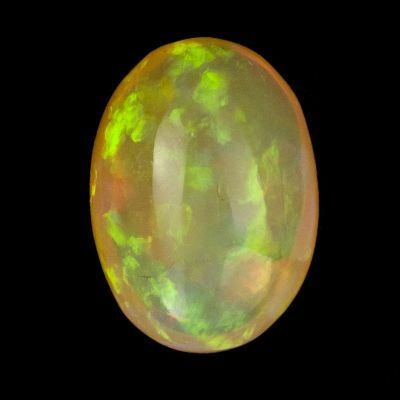 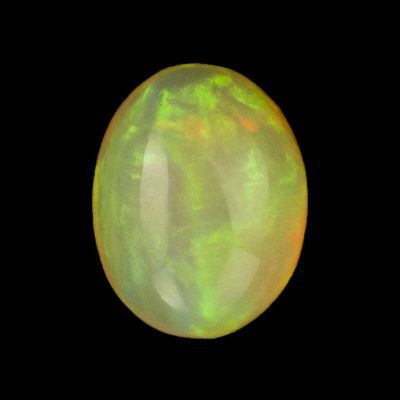 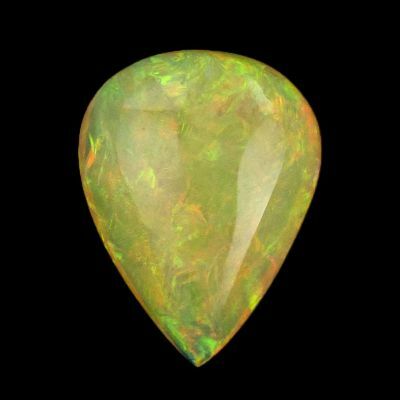 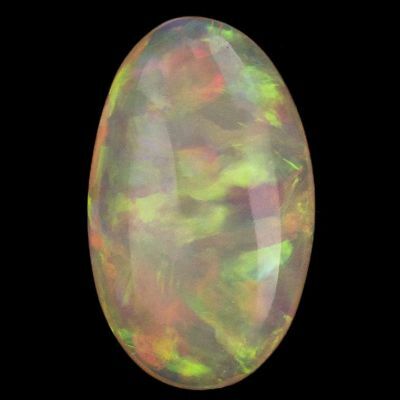 Unlike most opals with a white base or background color, this pear-shaped, double cabochon (polished on BOTH top and bottom so it can be displayed from either side) has a gorgeous yellow color and a stunning watery look that is dominated by a stupendous flash of colors across the entire face of the gem. 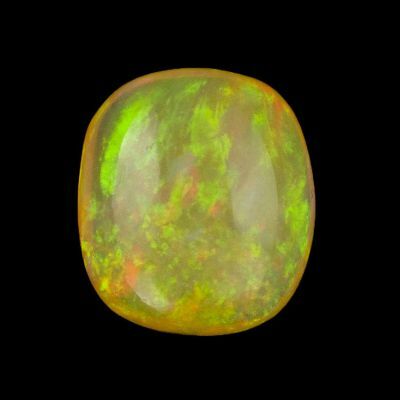 It is riveting in person, characteristic of the very best quality of this new material from a small find in Ethiopia. 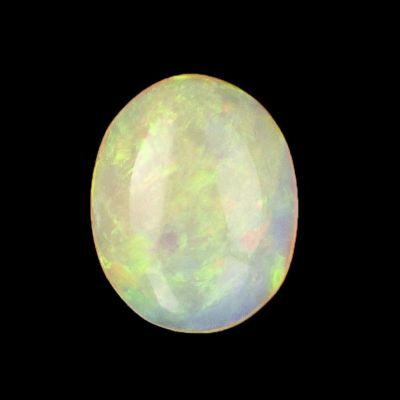 Recently the material has been picked up by major worldwide gemstone companies and incorporated into very high-end masterpiece works. 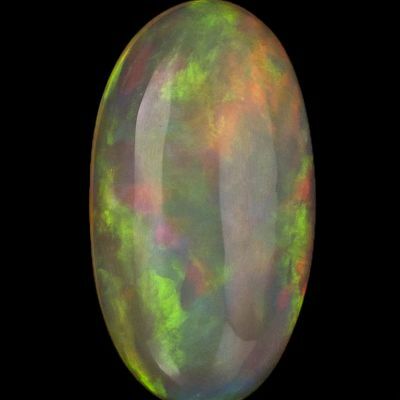 This is a museum class stone that is both wearable and collectible, and I think an investment as stones from this locality gain traction in the market. 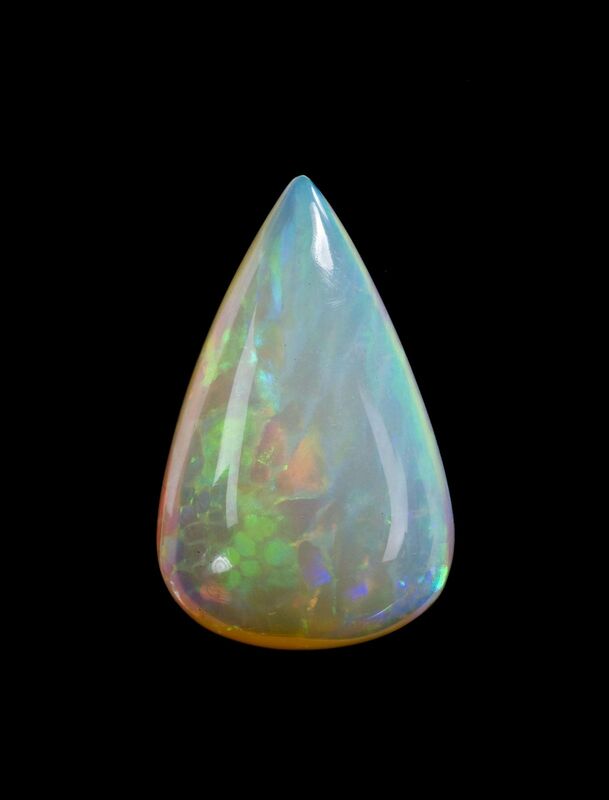 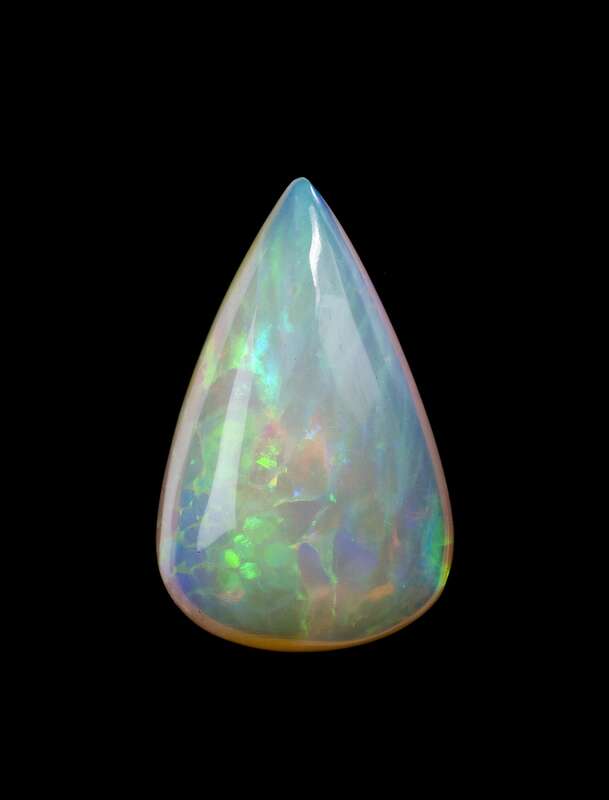 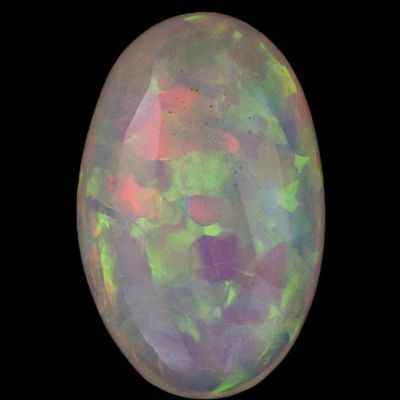 Also, nobody knows the size of the deposit - it cannot last forever, and then we are back to the more expensive Aussie opals of standard fashion.Welo Opal is the only true stable opal that is mined in Ethiopia, according to many people who have handled it for the last 2 years as it trickled out. 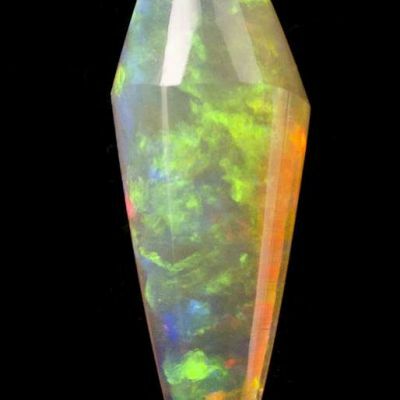 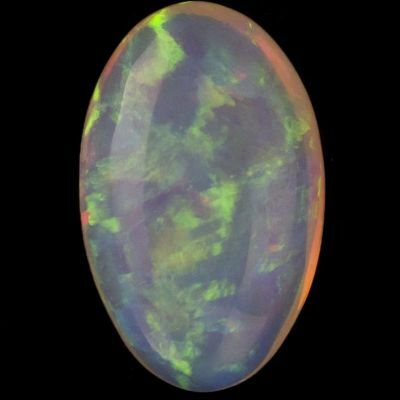 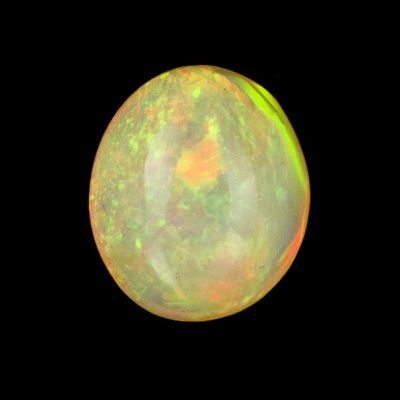 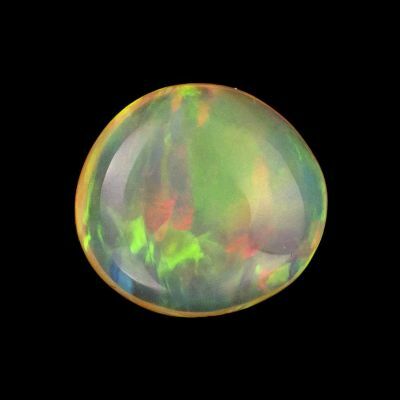 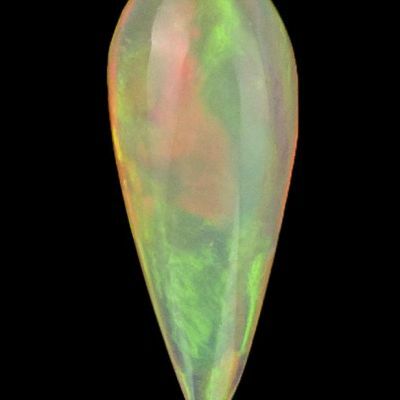 This opal has amazing fire play of all different colors. 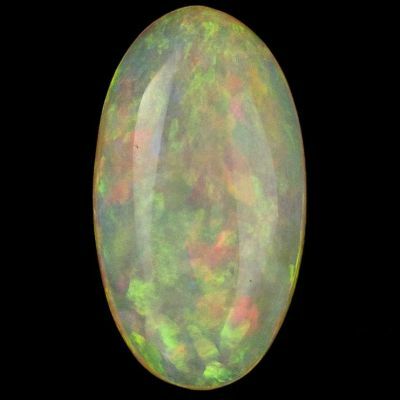 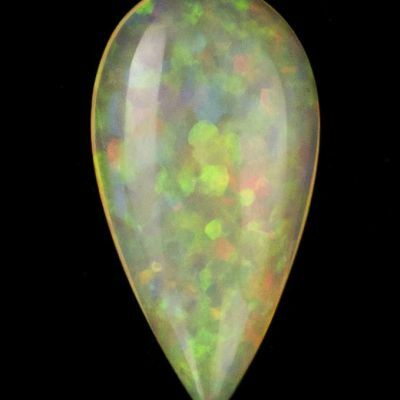 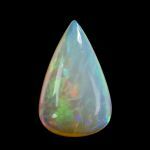 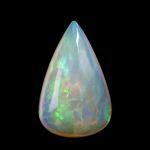 The Welo Opal is a very hard opal and thus very wearable.